2. 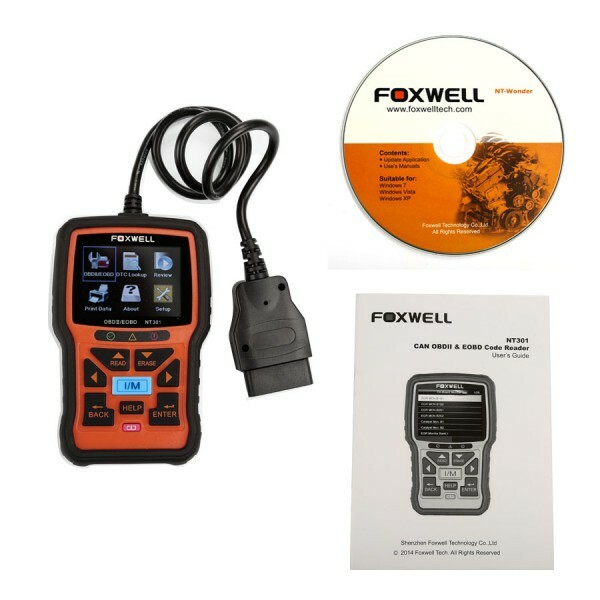 The NT301 CAN OBDII/EOBD Code Reader from Foxwell is the easiest and quickest solution for OBD faults. 3. NT301 offers such useful information for entry-level pro and savvy DIYer that they can quickly and efficiently troubleshoot OBD2/EOBD problems on today’s vehicles. 4. In addition, its 2.8’’ TFT color screen and hot keys for I/M readiness test, and reading/clearing DTCs make it excellent value for money. automatic update reminder let you stay current with the latest technology.